Things have started to pick up pace when it comes to Microsoft’s Surface Pro 4. As we get to sink our teeth in 2015, flagship and tablet upgrades from different manufacturers begin to hit the market. We’ve also been hearing quite a lot about Microsoft’s successor for the Surface Pro 3, which is expected to come with the manufacturer’s pending release of Windows 10. Well, if today’s sources are correct, then we could expect to see the Surface Pro 4 as soon as the middle of this month. While there has been word about the next Surface Pro coming with a fan less design, perhaps in lieu with Apple’s release of the MacBook Air, there had been no word so far about the tablet’s release date. Well, Slashgear claims to have received information about the device’s launch, with an anonymous source claiming that the next Surface Pro can expected to be unveiled at some time around the middle of this month, at a special conference held by Microsoft. A new generation N-trig pen is also rumored to come with the device. Where does that leave Microsoft’s alleged plans to launch the Surface Pro 4 alongside Windows 10 remains to be seen so far. 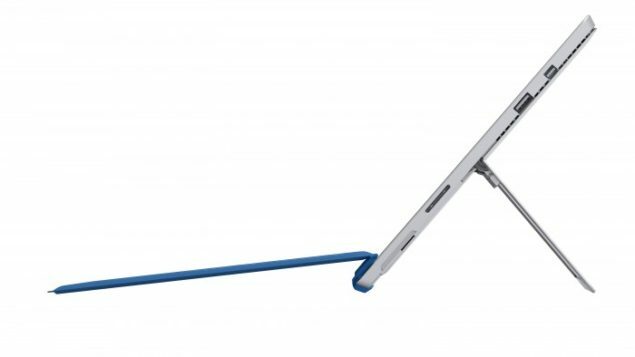 The Surface Pro 4 will not be utilizing Core M, according to latest rumors and will instead be choosing to stick with Broadwell Core ‘i’ range of processors, While that is good news for those looking for performance, how well will it end up accommodating heat issues with respect to a fanless design still remains to be seen. After all there have been reports claiming that the Surface Pro 3 faces heating issues, particularly the Core i7 versions. But it won’t be long till be get to learn more if Microsoft really is unveiling the device later this month. Stay tuned, we’ll keep you updated and let us know what you think in the comments section. Surface Pro 4 Now Listed as ‘2015 VERSION’ on Amazon – New Models Confirmed?